After going to a sour tap takeover of Cantillon beer in Portland a few days ago, I was inspired to recreate the beer journey I recently went on from San Diego to Eureka. I also made sure to add on my other favorites that I didn’t get to stop in at the last time around. For the following breweries, I’ve either been to them personally, tried their bottled beers before, or have heard so many recommendations about them from friends in the craft beer industry that I couldn’t leave them off the list. 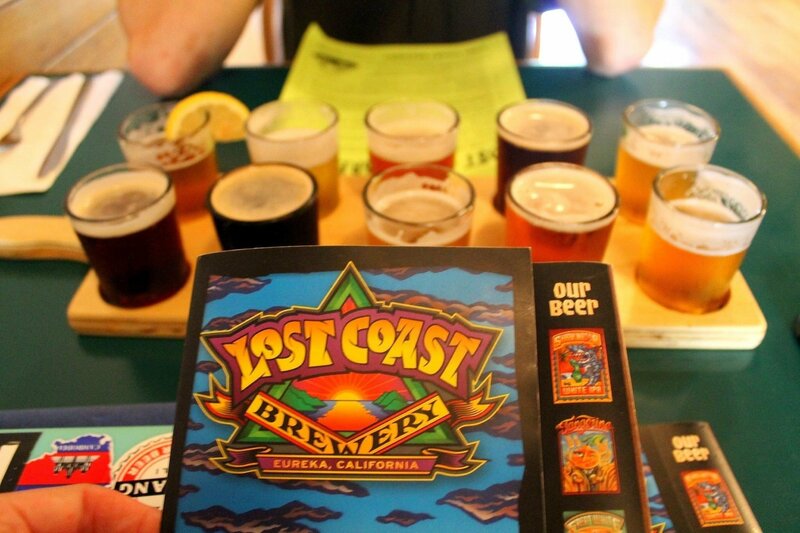 If you’re looking for a West Coast craft beer adventure in a state that’s known for tasty beer, use these top 30 picks to guide you to the breweries to visit in California. Oh, and don’t forget to enjoy a beer for me! The brewery that started it all for me, and where I had my first taste of good California craft beer. A kick to your taste buds – in a good way – Stone Brewing is all about the hops, high alcohol, and strong beers. The brewery covers an expansive complex that includes a rock garden and a few different areas to sip your beer in a relaxing setting. You can take free brewery tours here, but it’s a first-come-first-serve basis so put your name on the list as soon as you get there. Be prepared for a fairly expensive food menu, the beer mac & cheese is the best! Also, this is one of the most popular north county breweries so it’s often busy. Where to find: 1999 Citracado Parkway. One of my favorite breweries and where I found my all-time favorite beer (Sculpin IPA! 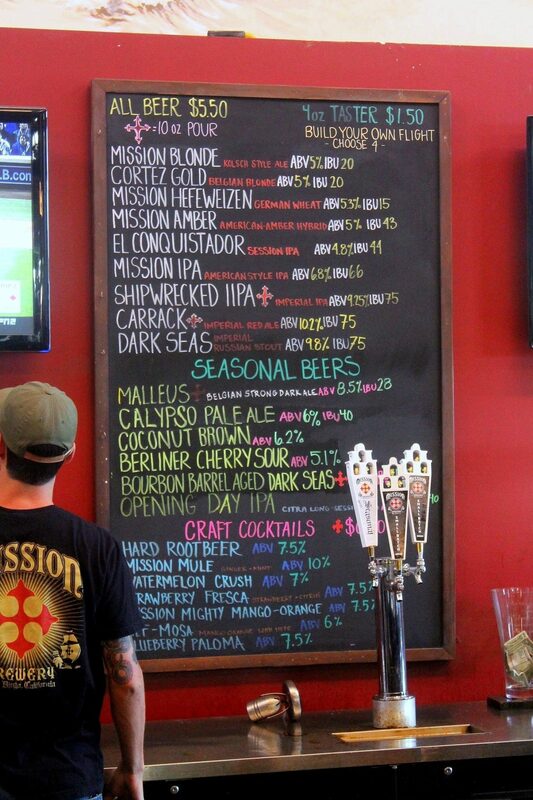 ), Ballast Point is a quality brewery that has made a name for itself in the San Diego craft beer scene. 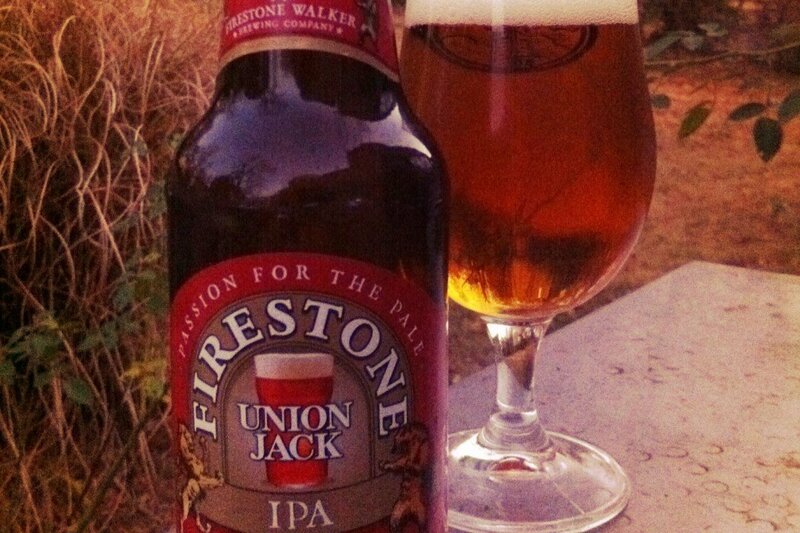 It’s easily considered one of the best breweries in southern California. 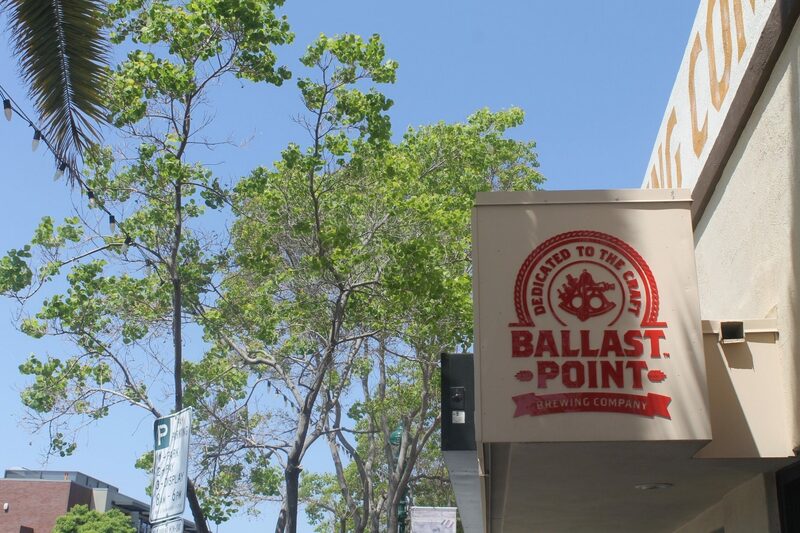 There are two locations for Ballast Point in San Diego – the original location in Miramar, and the newer one located in downtown Little Italy. There’s outdoor seating at the Little Italy location and a varied tap list, depending on the season. Ballast Point is always keeping it fresh with uncommon beer styles and combinations, such as the Habanero Sculpin IPA, that keeps the homebrew vibe alive and well in a successful large scale brewery. 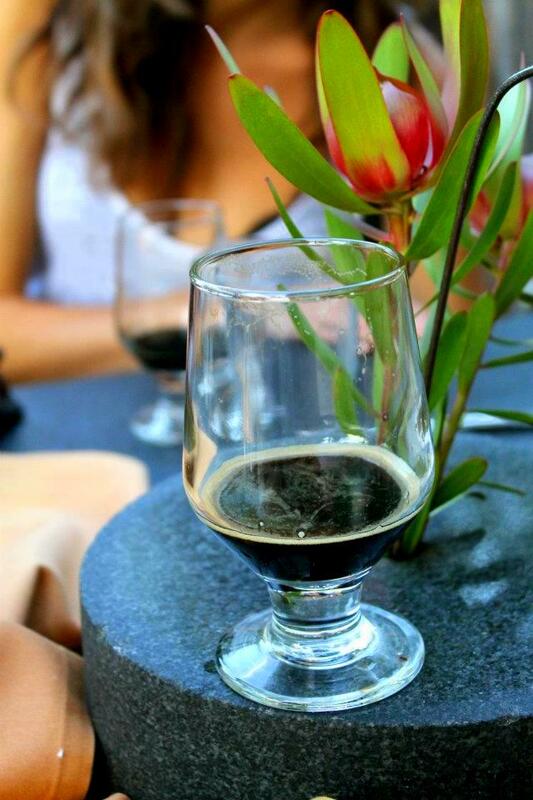 Where to find: (1) 9045 Carroll Way (2) 2215 India St. – For the downtown tasting room. The new kid on the block in San Diego, Half Door Brewing is located right near Petco Park and provides a refreshing Irish countryside spin to the West Coast focused southern California breweries around town. At Half Door, you’ll find traditional Irish beer styles, such as an Irish Red and, my personal favorite, the Irish Dry Stout on Nitro. They also brew a delicious Berlinerweisse that’s worth a taste if you enjoy sour beers. This is one of the smaller breweries you’ll find in downtown San Diego, and therefore comes off as personal and intimate. Where to find: 903 Island Ave.
You can find Karl Strauss pretty much everywhere in San Diego! The original brewery is over on Santa Fe Street, but they have brewery restaurants in almost every suburb. Karl Strauss is seen as a more commercial brewery in San Diego, and perhaps a tad less original when it comes to unique beer styles. However, don’t let that fool you into thinking they don’t make quality beer, because they do. 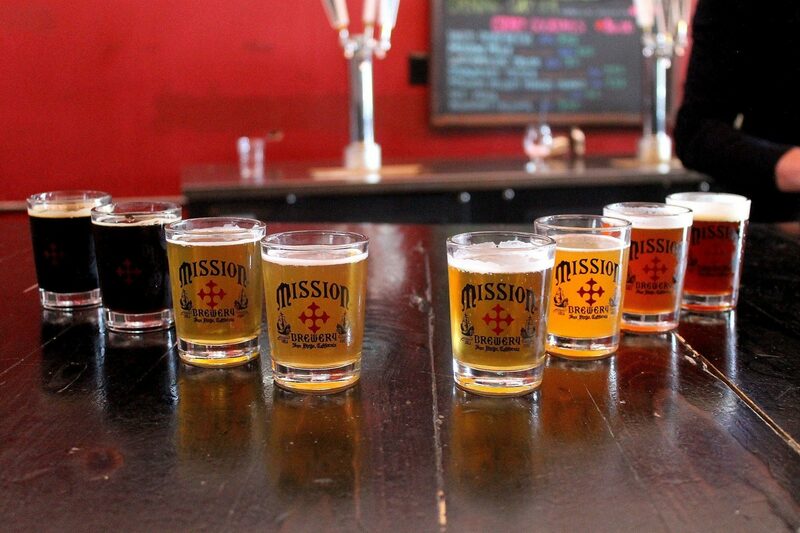 Mission Brewery has won so many beer awards they must be losing room on their shelf of trophies. With a very laid-back Southern California atmosphere, Mission is located in a brick warehouse that’s open and airy. It’s the perfect place for an afternoon beer. The roots of this brewery go way back, they were even around during the hard times of Prohibition! It wasn’t until 2007, when the avid home brewer, Dan Selis, reestablished the brand and set-up the tasting room in San Diego. Now it’s one of the best breweries in southern California. Where to find: 1441 L St.
Green Flash is the poster child for the West Coast IPA style and known for the constant high quality of beer they brew. Located in an industrial business park, which is not unusual for southern California breweries, Green Flash has a beer garden and food trucks to create a communal feel in a large brewing complex. Also, I’ve heard the brewery tours are great here, giving you good insight into the life of brewing. 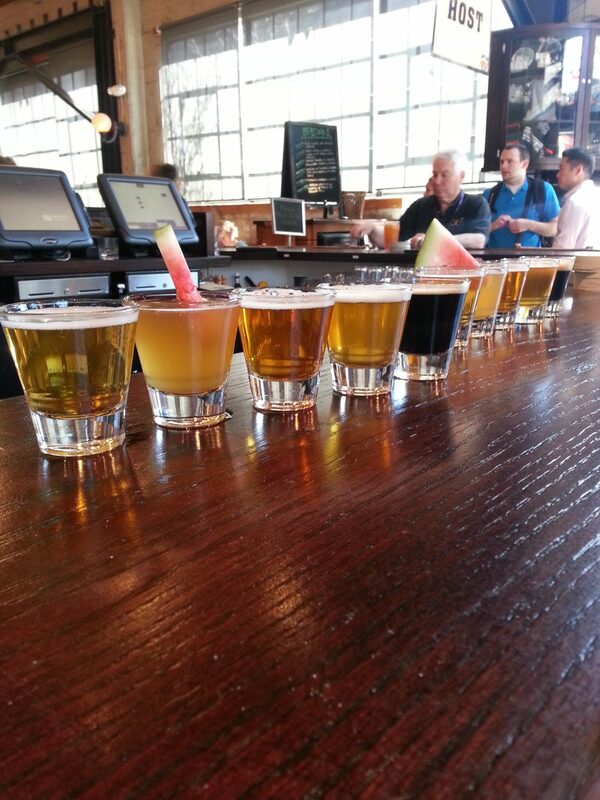 Tours are $5 for a 1 hour experience behind the scenes and the chance to have a guided tasting of 4 beers. Where to find: 6550 Mira Mesa Blvd. Pizza Port is another brewery that has multiple locations around San Diego, but the Solana Beach location has to be my favorite of the north county breweries (besides maybe Stone). I have fond memories of grabbing pizza & beer here before heading off to LA from the train station across the street. It’s just steps from beautiful Solana Beach and I’ve always had great service at this location. 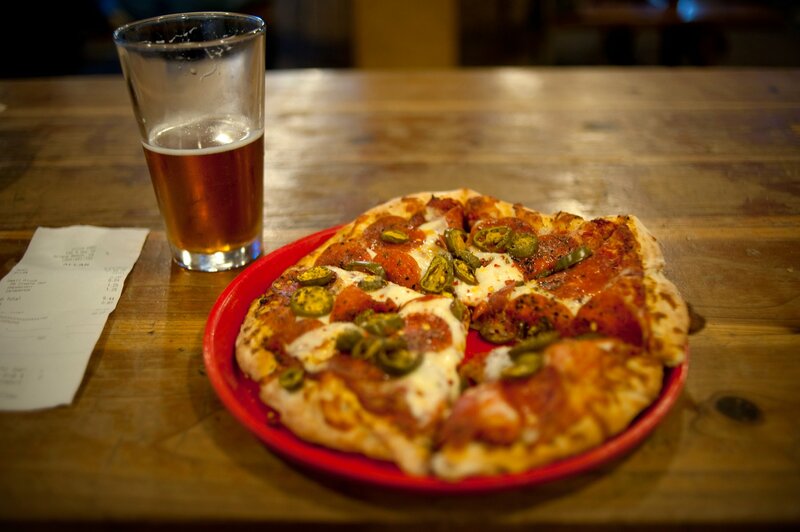 Pizza Port is a local favorite that has a homebrew feel to their beers and a very unique pizza line-up. This is some of the best pizza you’ll find in San Diego, and the people who work here all look like chilled out surfers, fitting the San Diego personification quite well. Located in a business park, Wicks Brewing is just another California brewery that I was pleasantly surprised with in Riverside, a city I had never associated with craft beer before. Wicks has a clean brewing operation set-up, and they offer the unique feature of hosting brew classes for those who want to learn the art of how to make beer. 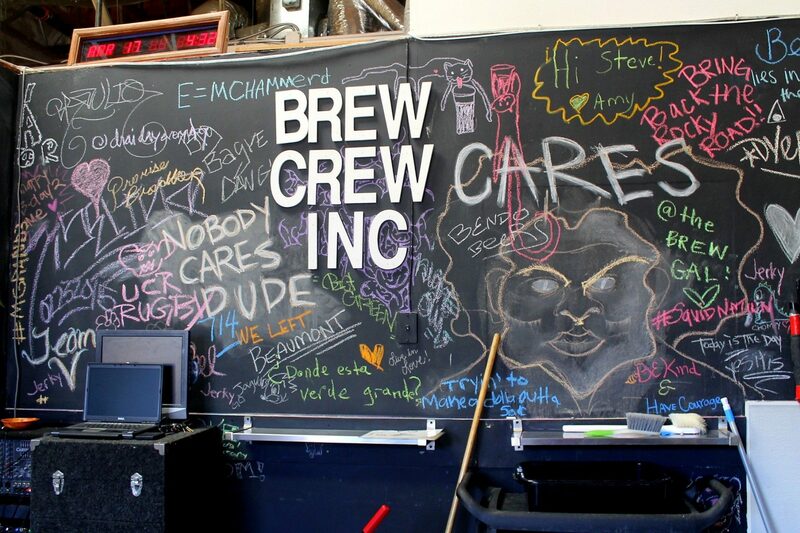 Where to find: 11620 Sterling Avenue Suite C.
My favorite brewery in Riverside, Brew Crew Inc is the first collaboration brewery I’ve been to. There are three different small breweries that share the space, collaborating and taking turns with brew days. It’s a locally run place and personal in how you can meet the brewers and watch them work on small batches for the day. The 3 different California breweries you’ll find here are Polymath, Delicious Science, and Fermatrix homebrewing. We found so many interesting experimental beers here that were not only creative but incredibly delicious. Where to find: 11626 Sterling Ave Suite G.
Located in a converted warehouse in Los Angeles, Eagle Rock Brewery hosts a laid back tasting room with beer styles that range from sessionable to imperial. Going from the minimalist design of the place and menu choices, this brewery is all about the beer. Grab lunch/dinner beforehand and just enjoy tasting good beer and chatting to people who are knowledgable about the product. Where to find: 3056 Roswell St.
A hard-to-find brewery with a small tasting room, Monkish Brewing Co. is worth the hassle to get to. It’s a Belgian inspired brewery that excels at its speciality. Combine that with 80s music, free snacks, and friendly staff, and this is not a brewery to be missed if you’re in the LA area. 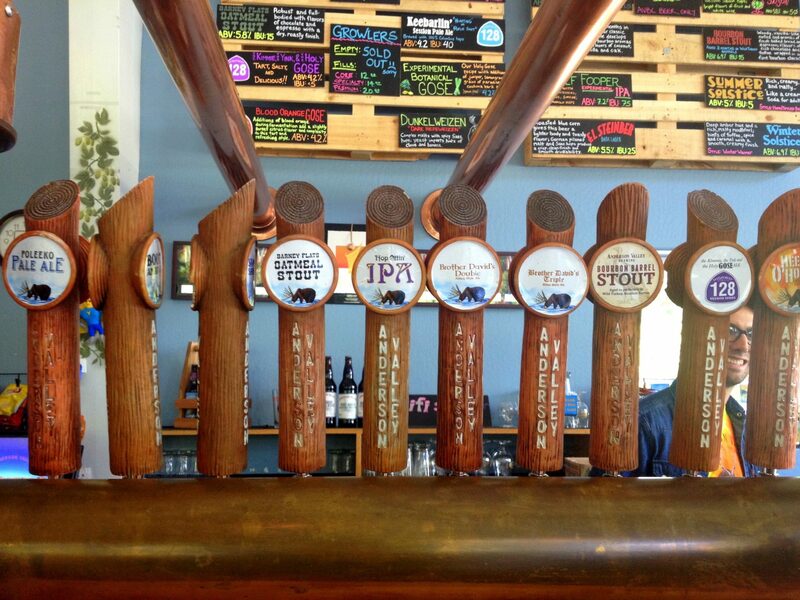 Where to find: 20311 S. Western Ave.
Figueroa Mountain’s original brewery is located in Buellton, but why not make an excuse to stop in the stunning seaside town of Santa Barbara if you have the chance?! After being less than impressed with Santa Barbara Brewing Company, the only other brewery in town, Figueroa was the perfect stop to start off a day exploring town. 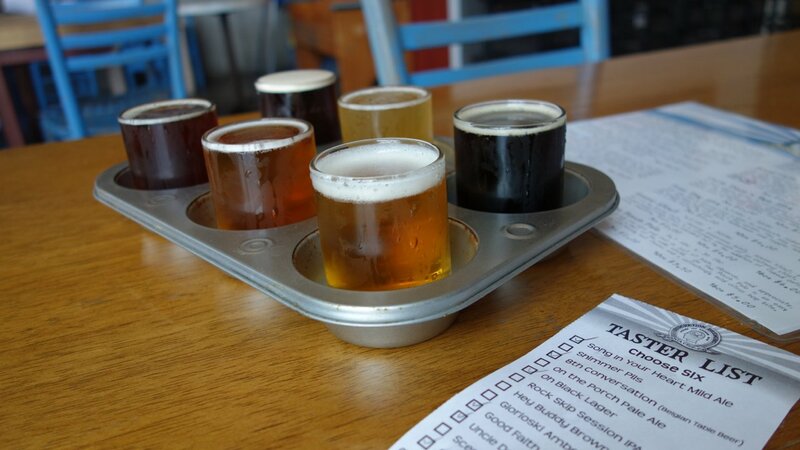 One of my favorite aspects was the colorful placards that came with each beer on a tasting tray, describing the beer, giving the percentage, and any pairings it would be good with. I love that amount of information when I’m trying a lot of different beers. They don’t have any of their own food, but the Italian place next door makes delicious pizzas that you can have ordered over and delivered to the bar. 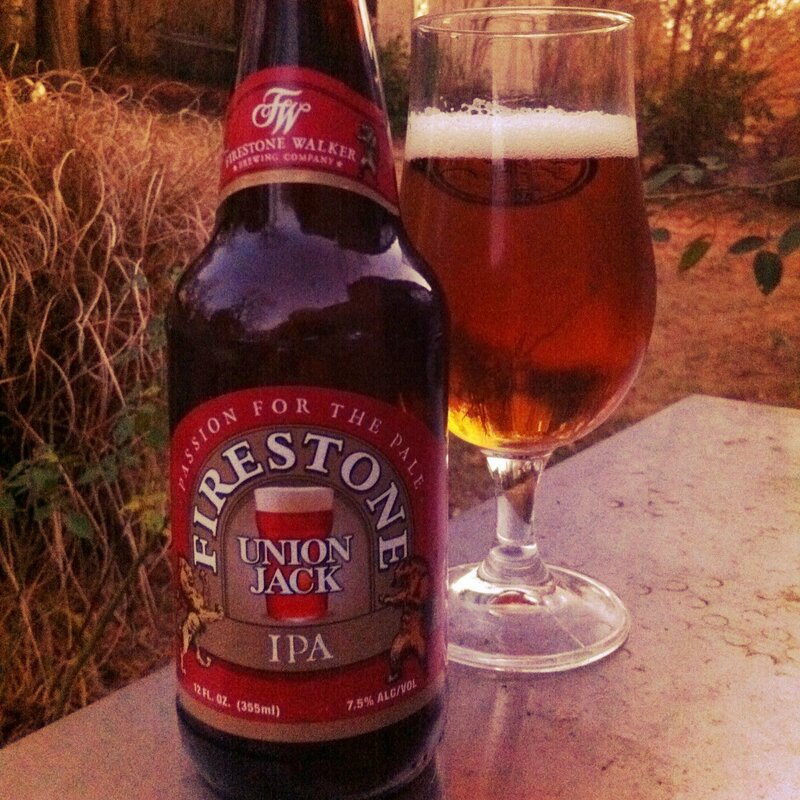 Although Paso Robles may be a little out of your way if you’re sticking to Hwy 1 up the coast, Firestone Walker produces some of the best beers and is known as one the best breweries to visit in California. 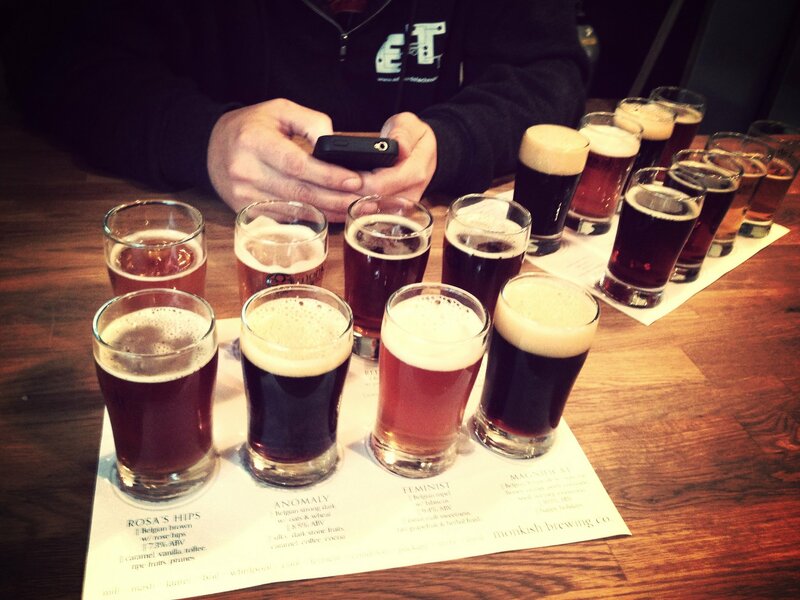 The brewery offers free tours by appointment, and there is a restaurant set-up with everything from steaks to pizza. They’re especially known for their unique barrel aged beers and punchy IPAs. Some of their more exotic beers aren’t available as bottles in local stores, so it’s worth a stop in at the brewery to experience. Where to find: 1400 Ramada Dr. Put on the list partly for nostalgia, Seabright Brewery is a beachside restaurant that I used to always go to with the family, growing up in Santa Cruz. You won’t find any crazy styles or particularly phenomenal beer, but it’s one of the original breweries in Santa Cruz and definitely a local’s place. Their food, especially their seafood dishes, are mouthwatering and deliciously fresh. The location, within walking distance to the beach, is unbeatable. Time it right, and go watch the sunset at Seabright Beach after dinner at the brewery for the ultimate Santa Cruz experience. 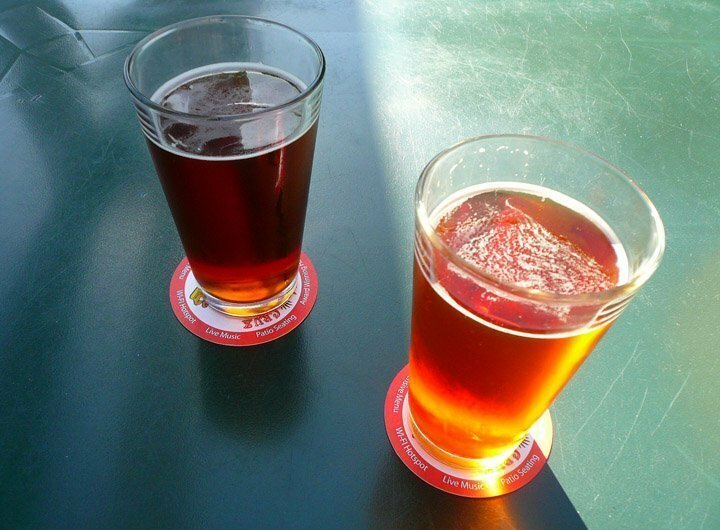 Where to find: 519 Seabright Ave.
A new brewery that has popped up in the recent brew scene in Santa Cruz, Uncommon Brewers is all about wacky and out there styles that taste good, such as their Bacon Brown Ale. You can tell that the owner and brewmaster, Alec, is passionate about the product he’s creating. 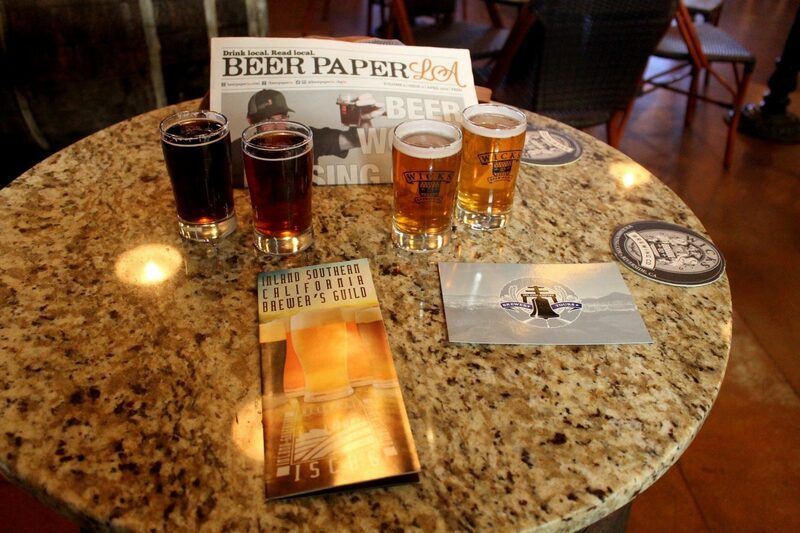 The brewery is still a small set-up with visits to the tasting room by appointment only. 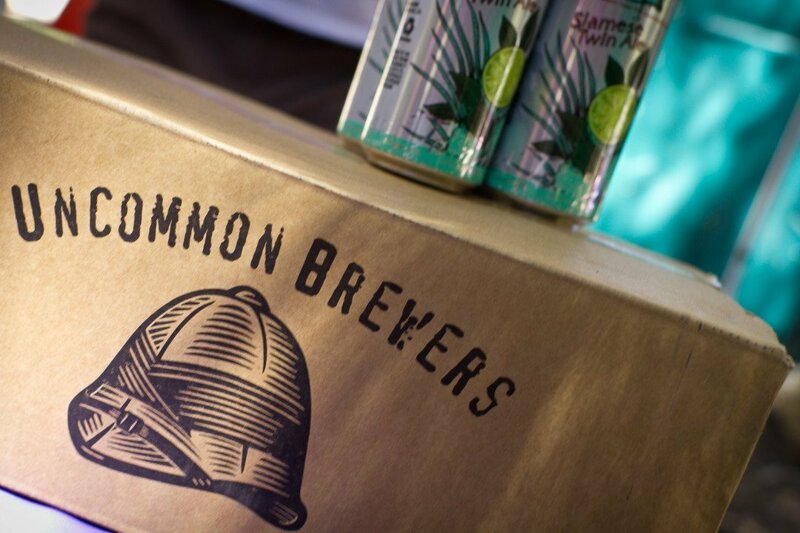 They’re known for their green practices in only making organic beer and exclusively using recyclable one-way keg technology. Where to find: 303 Potrero St. Ste. 40-H. 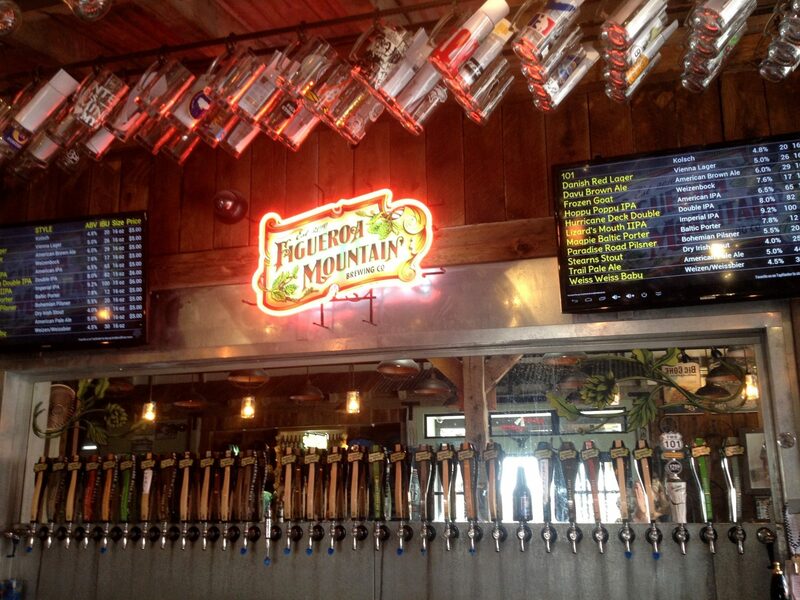 Combine a fun funky atmosphere with delicious brews and food, and you have a classic Santa Cruz brewery restaurant. Another place for the locals, Discretion is a neighborhood hang out that has a small beer garden with styles from Belgians to Irish stouts, especially highlighting European type beers. Where to find: 2703 41st Ave, Soquel. I first fell in love with the quirky 21st Amendment when I tried their Hell or High Watermelon Wheat beer on a hot summer day. I was hooked. This multi-level brewery is the place to go in San Francisco before a Giants game as it’s right next to the AT&T Ballpark. Their finger foods and appetizers are some of the best for savory goodness (cheese curds!). Where to find: (1) 563 2nd St (2) 2010 Williams St, San Leandro. Perhaps the most popular brewery to visit in San Francisco, besides Anchor Brewing, Thirsty Bear takes over a huge amount of real estate to create an airy beer hall vibe with the feeling of camaraderie. This place is two stories and usually has events of some sort going on. Don’t let the size intimidate you, there is usually plenty of seating and a lot of good times to be had at Thirsty Bear. It’s a great place to come for happy hour, especially for big groups. 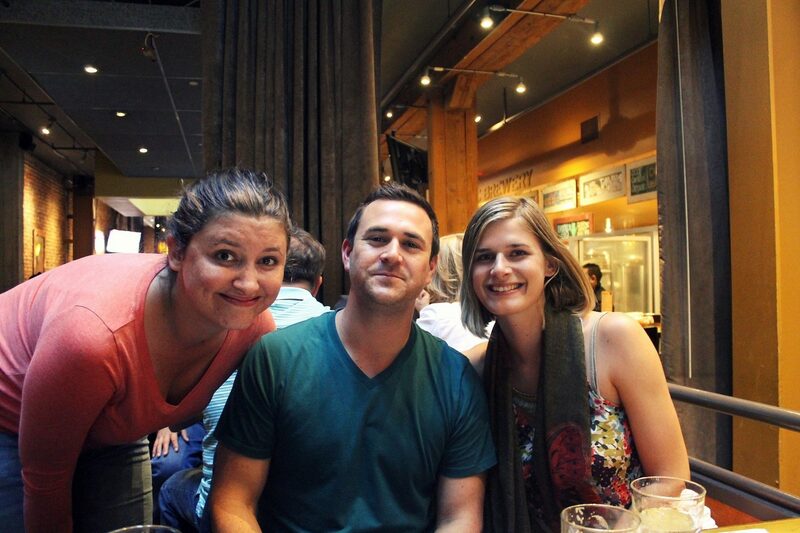 Cousin reunion at Thirsty Bear in San Francisco! Where to find: 661 Howard St. The granddaddy of craft beer in the Bay Area and the country for that matter, Anchor Brewing was America’s first craft brewery. 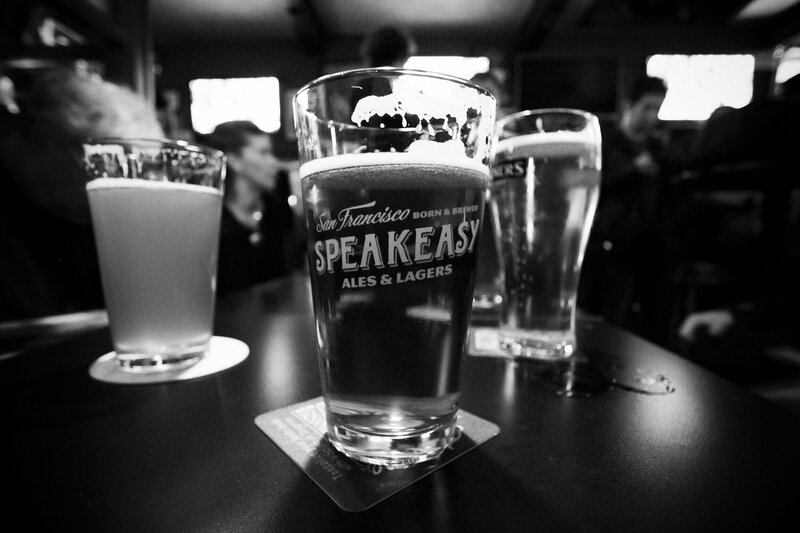 They’re known for their famous Anchor Steam beer that you can find in almost every bar in the city. It’s important to note that the taproom isn’t open to the general public and they only offer two guided tours every weekday. Tours of the brewery are free but you sometimes have to book them months in advance because they’re so popular. The tours are highly informative, not only about the great range of beers produced at Anchor, but about the rich history behind the brewery as well. 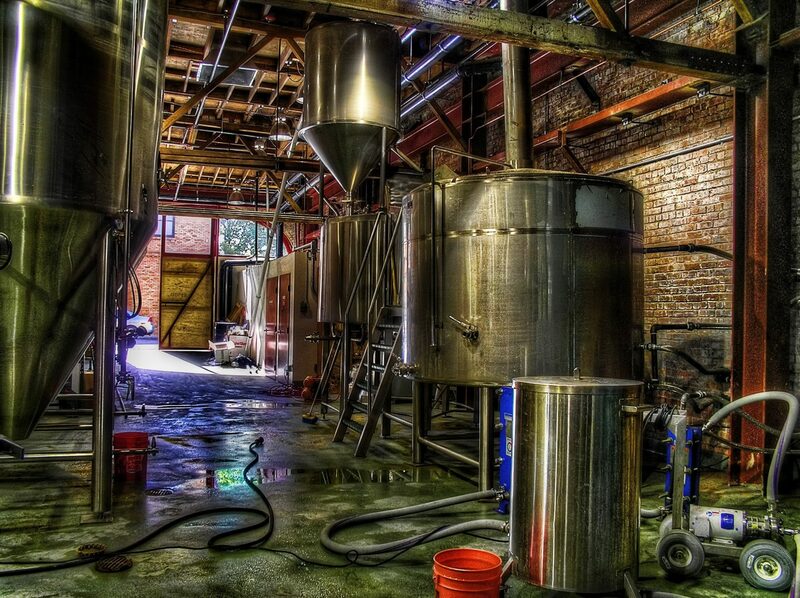 This is a landmark brewery to visit in California for its history, and one of the top California breweries not to miss. Where to find: 1705 Mariposa St.
Speakeasy has to be another one of my favorite breweries in California, if only for their awesome beer labels and branding – but don’t worry, the beer is phenomenal as well. Staying true to their name, they have a speakeasy style bar in San Francisco that probably has the coolest atmosphere out of any other brewery in the city. They’re known for their big and bold hopped up beers, such as their Double Daddy IPA, so be prepared to rock the socks off your tastebuds. 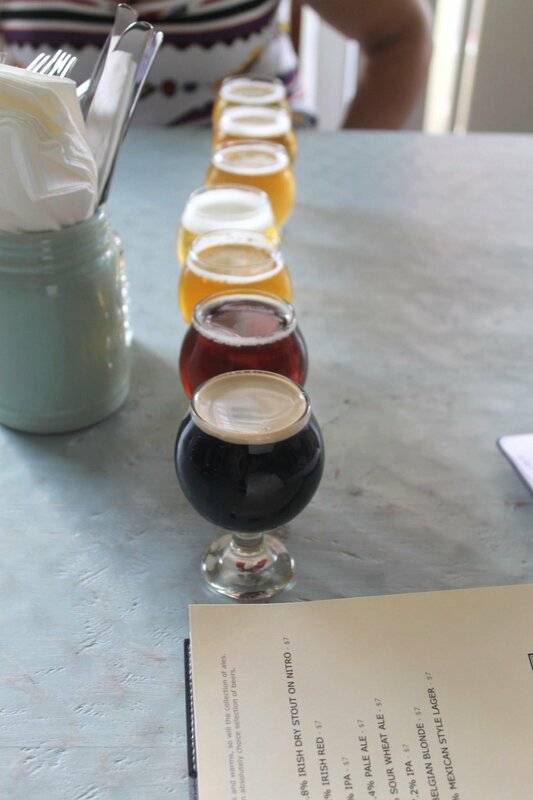 Where to find: 1195 Evans Ave.
A busy and popular place on the other side of the Bay in Berkeley, Jupiter is a satisfying brewery that is known for an expansive outdoor seating ambiance, live music, and wood-fired pizzas, perhaps more than their beer. However, they do offer up a great range of guest taps, and their own beers are not something to miss out on with everything from Nitro Stouts to Double IPAs. Where to find: 2181 Shattuck Ave. 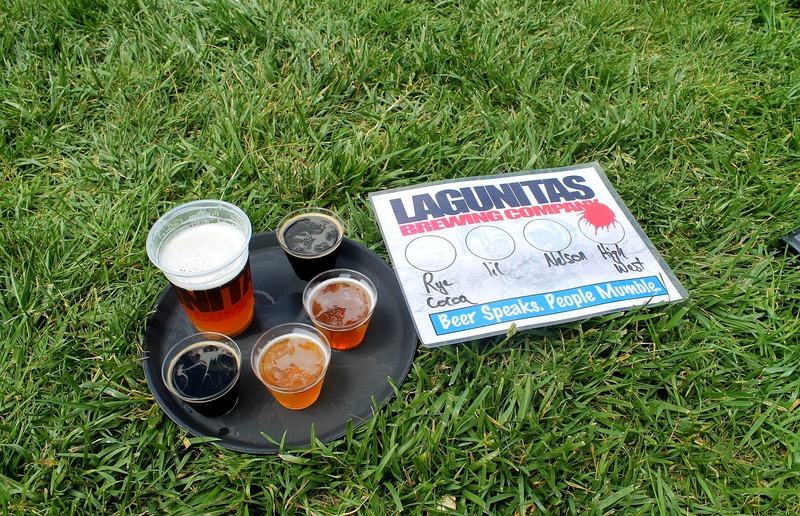 Right up there with Ballast Point and Track 7 as some of my favorite breweries in California, Lagunitas is a local favorite and producer of good hoppy beer. I realized my love for the Lagunitas IPA back in college when I found out my roommate was from Petaluma. I knew I would have to make a stop at their brewery at some point, and I finally did this year! The brewery is almost always busy, especially on the weekends, and has a ton of outdoor seating with live music and fun events throughout the year. It felt like a summer party when I was there, enjoying the sunshine, people roaming around and saying hi to friends, and a general happy atmosphere about the place. It’s by far one of the best Sonoma county breweries. Besides the Lagunitas IPA, try the Little Sumpin’ Sumpin’ Ale and the Double Barrel Aged Hop Stoopid. You won’t be disappointed, this is considered one of the best breweries in California for a reason! Where to find: 1280 North McDowell Blvd. If you’re heading inland toward Sacramento from the Bay Area and looking for a place to fill your growler and stop for a beer, Heretic has a great range of beers to taste test and enjoy. At Heretic, you’ll find a welcoming atmosphere with friendly staff and food trucks. The brewery is known for their bold hoppy beers, but their dark styles, such as the Shallow Grave Porter and the Chocolate Hazelnut Porter, are just as good. 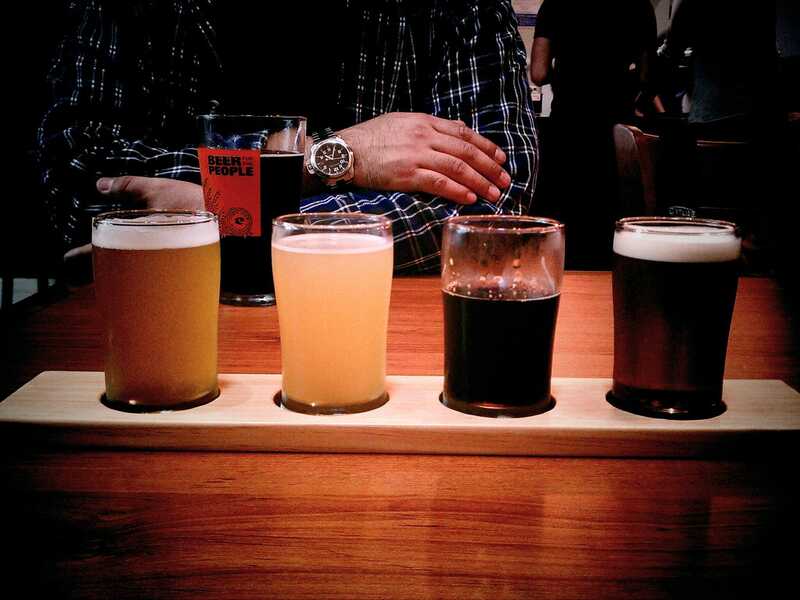 Make sure to get a flight here to try the many different styles they offer. 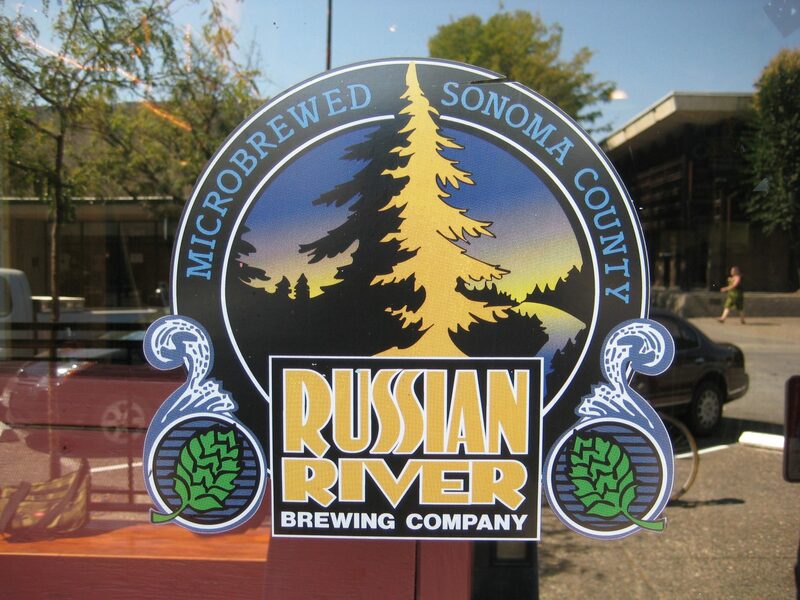 Where to find: 1052 Horizon Dr.
Another one of the best breweries in California, Russian River is known for its ridiculously popular beer, Pliny the Elder, considered by many to be the best IPA in the world. Make sure not to miss out on their Blind Pig IPA and tasty sours as well! This is generally a really busy brewery so be prepared to wait, the pizza and beer are well worth it though. 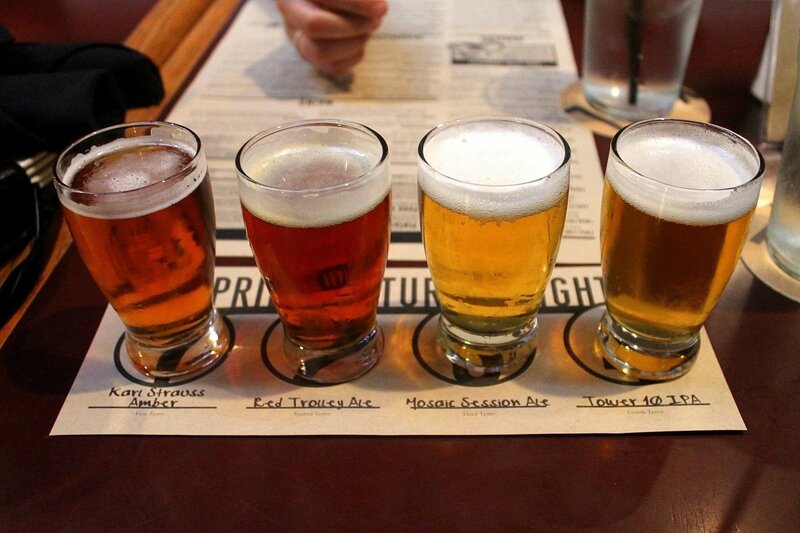 If you’re up for a challenge, order the 19 sample beer flight to try all of their beers on tap – if you go during happy hour you get all 19 2 oz pours for $22. Where to find: 1812 Ferdinand Ct.
Track 7 Brewing shot up to the top of my California brewery favorites after a visit to their set-up in East Sacramento. The bartenders are friendly, knowledgable and personal, and the beers are all extremely good AND unique. 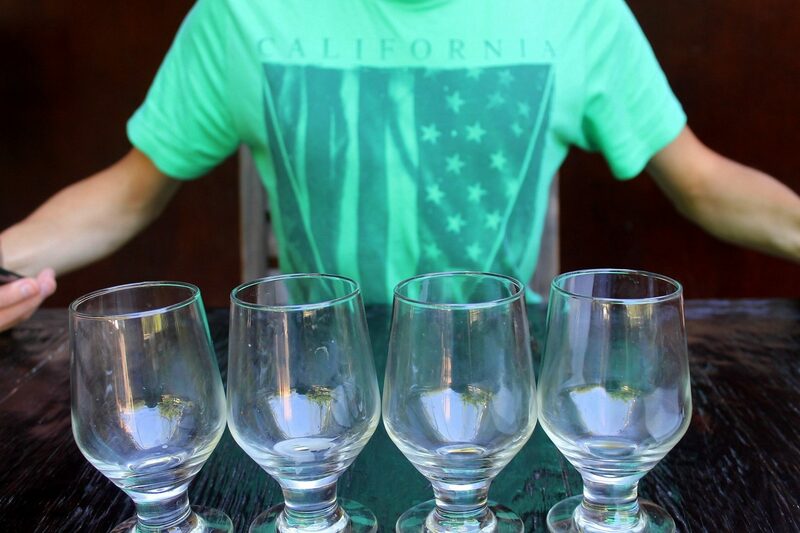 As a hint, get the $10 sampler deal with four 3 oz samples and a free glass to take home at the end. 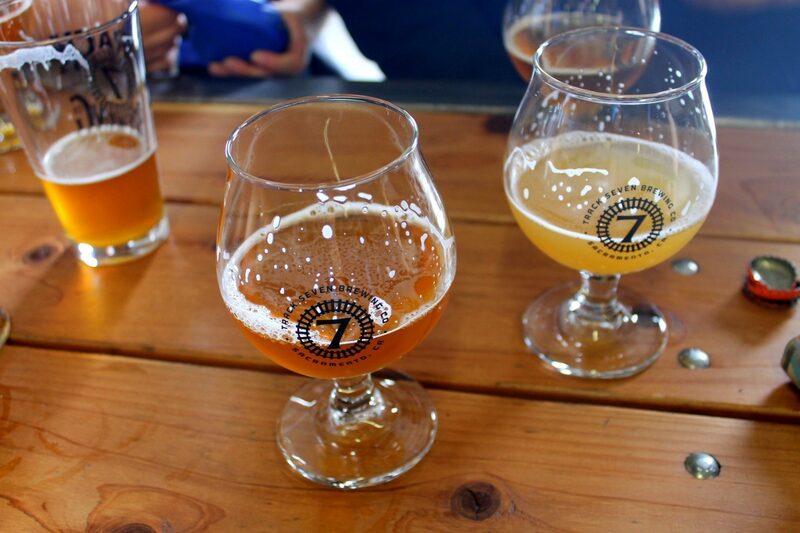 Located in a converted warehouse, Track 7 is also a dog friendly brewery and has some of the tastiest food cart fare I’ve tasted. 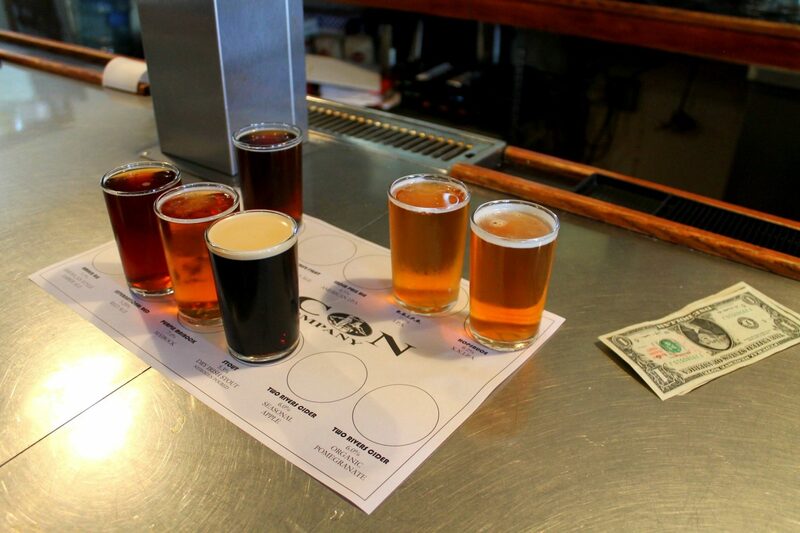 Where to find: 3747 W Pacific Ave.
Rubicon is another popular Sacramento brewery that brews some pretty interesting beers. Located right in downtown Sacramento, I would recommend this brewery more for the atmosphere and friendly service than I would for the California craft beer. With that said, the beer was worthy enough to make this list, so go for a tasting flight to try a mix of their traditional styles vs. their more wacky ones, such as the Grapefruit Hopsauce Double IPA. Where to find: 2004 Capitol Ave. In 1980, Sierra Nevada was the brewery that changed the idea of the American Pale Ale, producing one that was always consistent and hop-focused. 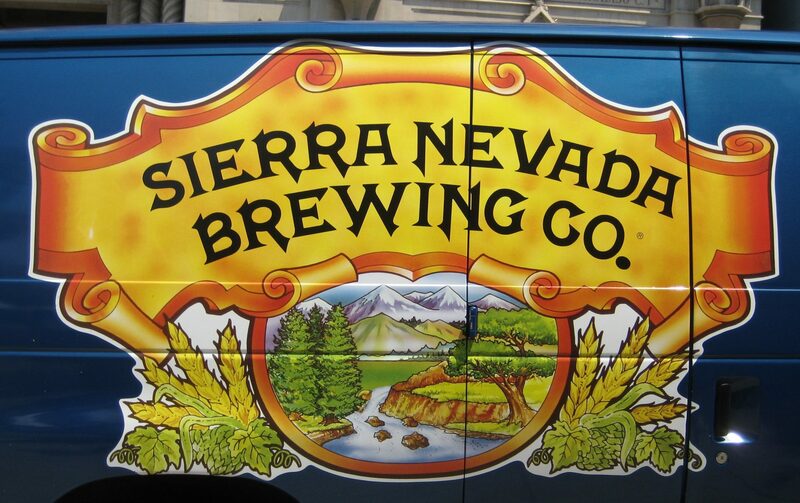 Sierra Nevada Brewery soon became another historical part of the California craft beer scene. The Pale Ale is the initial beer for many burgeoning beer enthusiasts, and it’s seen as the ultimate entry level craft beer these days. 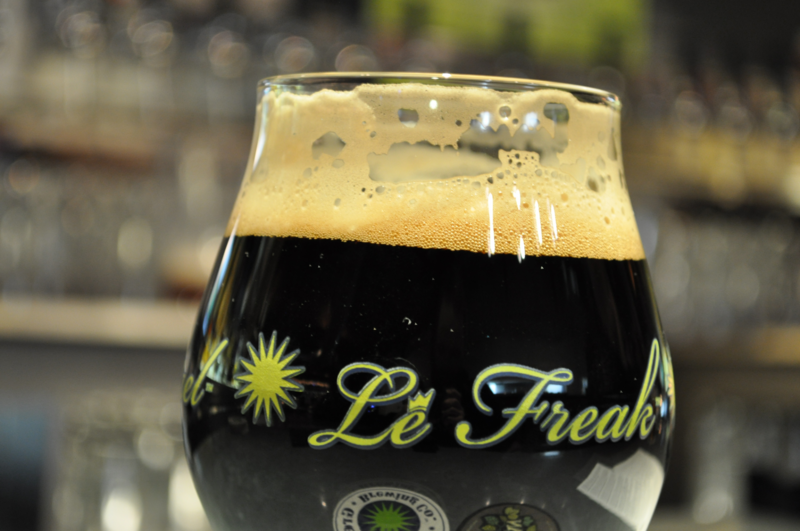 This is a larger brewery, so be prepared for an energetic and loud atmosphere in the tasting room with a lot of people. 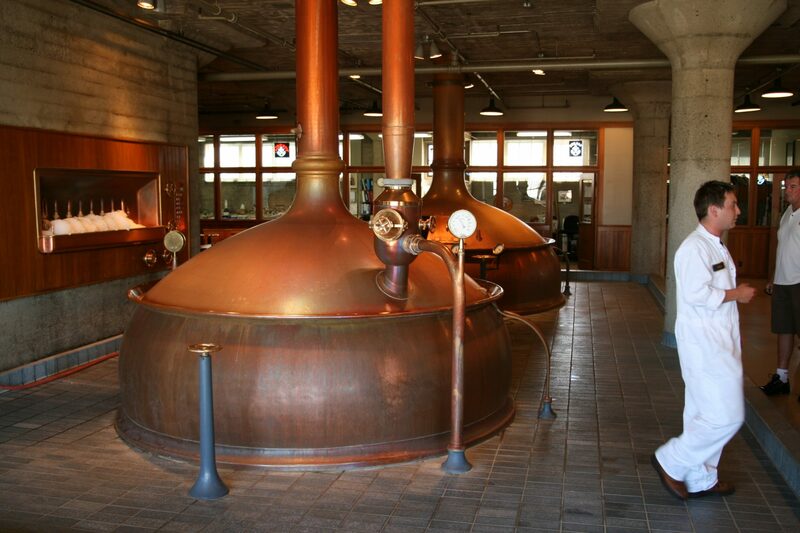 The brewery tours come highly recommended to get a sneak peak into the pioneering craft beer history of California. Make sure to book ahead of time because the tours fill up fast! There are 4 different types of tours, spend a whole day going on them or just choose one or two to get a good overview of the brewery. Where to find: 1075 East 20th St. 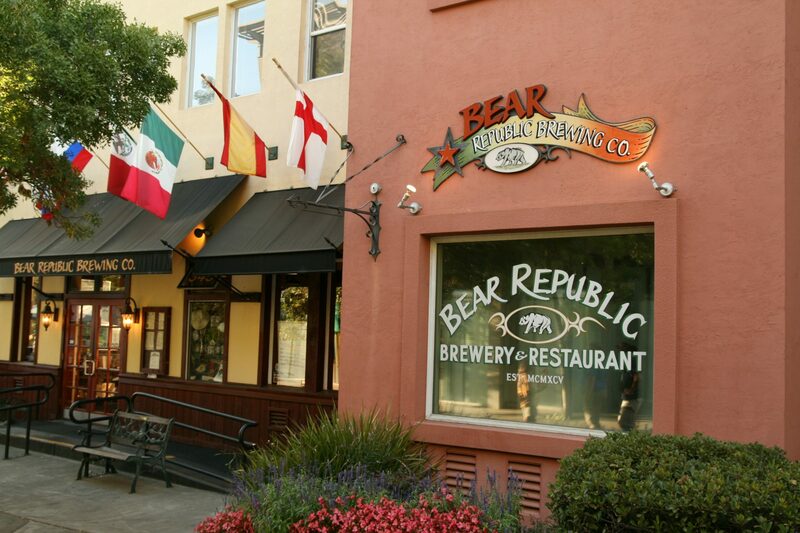 In the middle of Sonoma Wine Country, you’ll find an unsuspecting popular spot by the name of Bear Republic, that produces some fantastic beers, especially in the realm of hopped up styles. 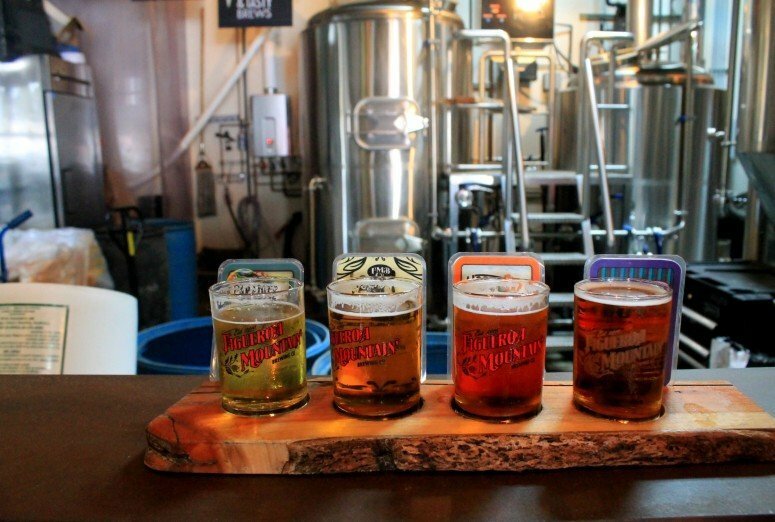 This family-owned brewery creates fresh and never filtered beer, it’s generally a busy and crowded place that serves up delicious meals and pours a wide range of tasting flights for you to try. This is another favorite of the Sonoma county breweries. Their Racer 5 exudes West Coast IPA and is a must-try, but other ones to add to your tasters would be Hop Rod Rye and the Red Rocket Ale. Where to find: 345 Healdsburg Ave. Located near the tiny little town of Boonville off Highway 253, Anderson Valley shows off that small town country vibe from the moment you see the fake stuffed grizzly bear with antlers in the back and peruse the wooden taps. With small town charm, you get a personalized and friendly experience at the tasting room with a bartender who knows what he’s talking about. Although you see their Boont Amber Ale everywhere, I was particularly impressed with their Gose style beers. They don’t have any food at the bar or food trucks around, so make sure to stop in at the little town deli for a homemade sandwich to bring back to the brewery if you’re hungry. Where to find: 17700 CA-253. One of the last breweries you’ll find before reaching the Oregon border, you can tell what type of place Lost Coast is by the giant fake spider that comes down on your head as soon as you open the front door – luckily, we came in from the back. They’re laid back, part dive, part small town local craft beer pub, they don’t take themselves too seriously but provide friendly service and decent beer. Some of their more unique beers had fruit features, such as the Tangerine Wheat Ale and Raspberry Brown Ale. 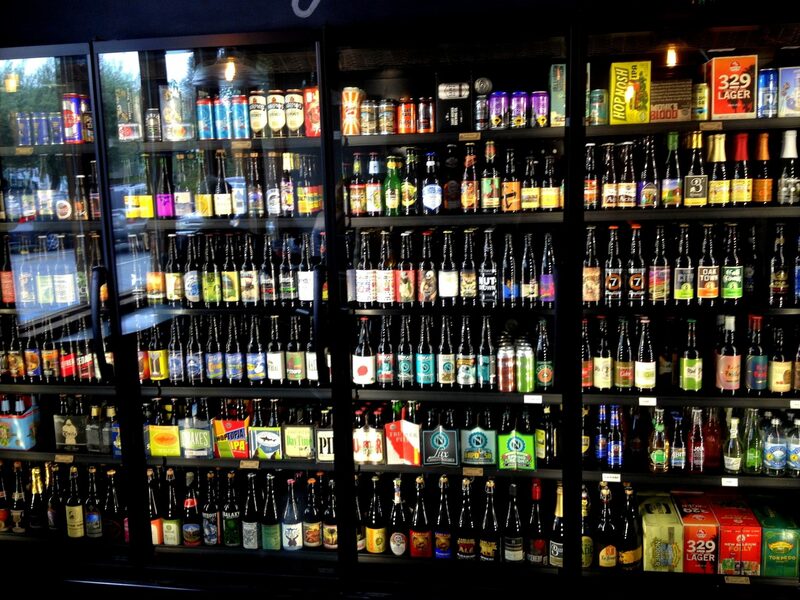 Where to find: 617 4th St.
As you can see, California is all about the beer, with styles that change drastically from south to north and everywhere in between. 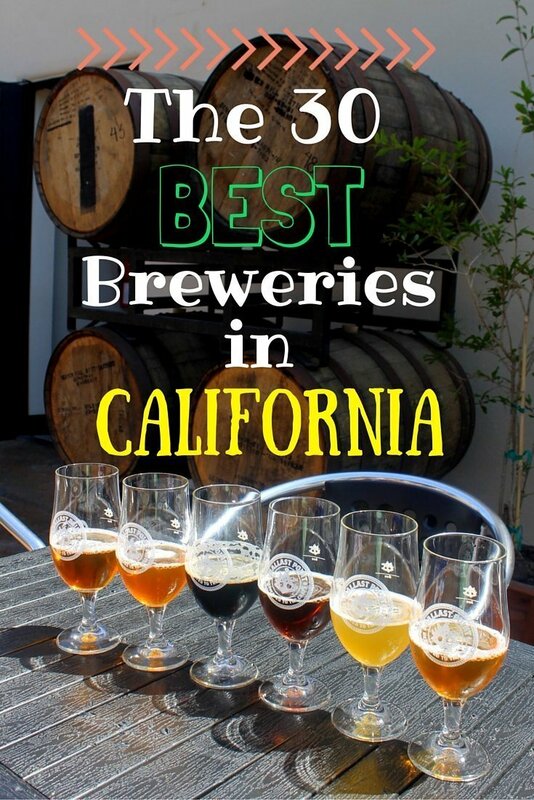 I hope this guide can help you choose between the many craft breweries found all over the Golden State on your next California road trip! With so many breweries in one state, are there any you would add to this list for my next craft beer journey through California? Watch my video below showing you through a few of the breweries we visited in California, and make sure to subscribe/like if you enjoy! 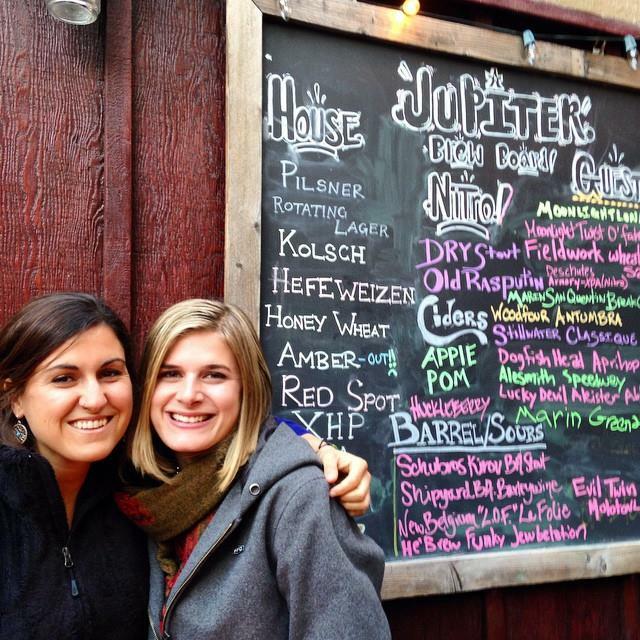 Great list and so many breweries I need to visit! I’m a sour beer/wild ale fan so I would definitely add in Rare Barrel in Berkeley, Almanac in SF, Sante Adairius in Santa Cruz, and The Bruery in Placentia–those along with Anderson Valley and Green Flash, are my favorite breweries in the state. 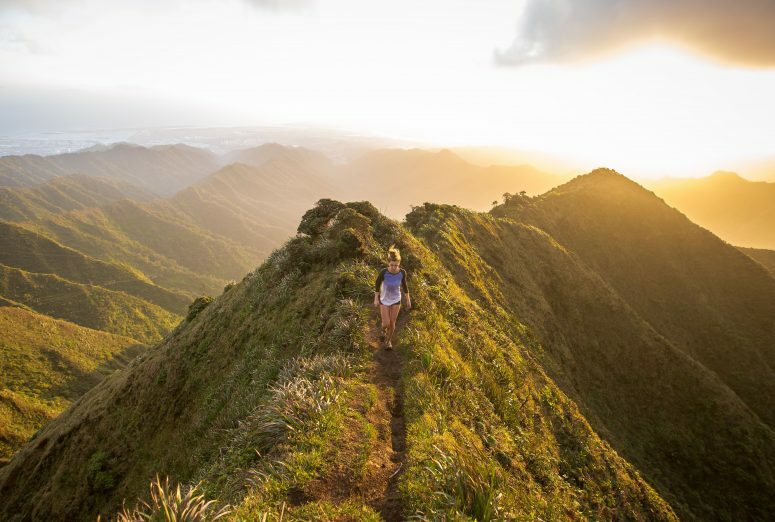 Alpine is really good too, but kind of hard to find outside of San Diego. I’d definitely add 4 Sons in Huntington Beach. This is a new Orange County gem, and I may be biased since its walking distance from my house, but their tap room is one of my favourite places to grab a drink. Its still small, but they have board games and often on the weekends a food truck right outside. The only complaint I’d have is that they’re so popular, they can’t keep up with demand sometimes, although I hear they’re expanding soon! I’ve never heard of 4 Sons, but it sounds like a great local spot. I needed some Orange County breweries to visit for next time I’m in SoCal, thanks! It’s going to take me a while to try all of these- but I’ll definitely give it a go! Bottle Logic in Anaheim, Valient in Orange and the Bruery in Placentia are two I’d put on a list to try.